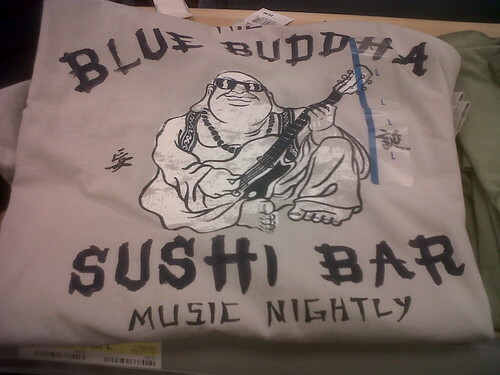 These two t-shirts are for sale at local Target store. 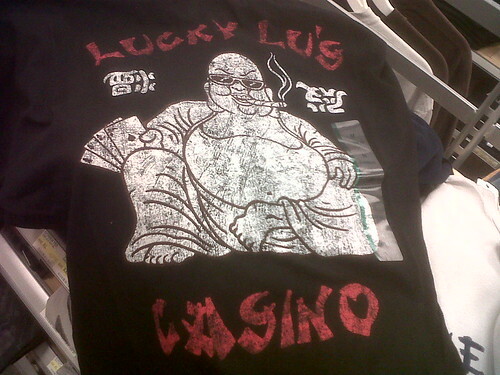 Both characters printed on this Lucky Lu's Casino t-shirt are upside-down. One character is 溫, meaning "warm", and the other resembles 殿, is "temple". I have no idea what "warm temple" had any association with casino. I have no idea what the character on the left is. One on the right is 誕, "birth".